At the press conference, Bertrand Piccard and André Borschberg wore the OMEGA Speedmaster Skywalker X-33. The multi-function quartz chronograph has been designed for adventurers and explorers. The black dial, with its white indexes and hour markers, has a central opening allowing the wearer to read the displayed digital elements such as the hour, minute and seconds of up to three different time zones, three alarms, chronograph and countdown functions, and a perpetual calendar with day, date, month, year and week number indications. 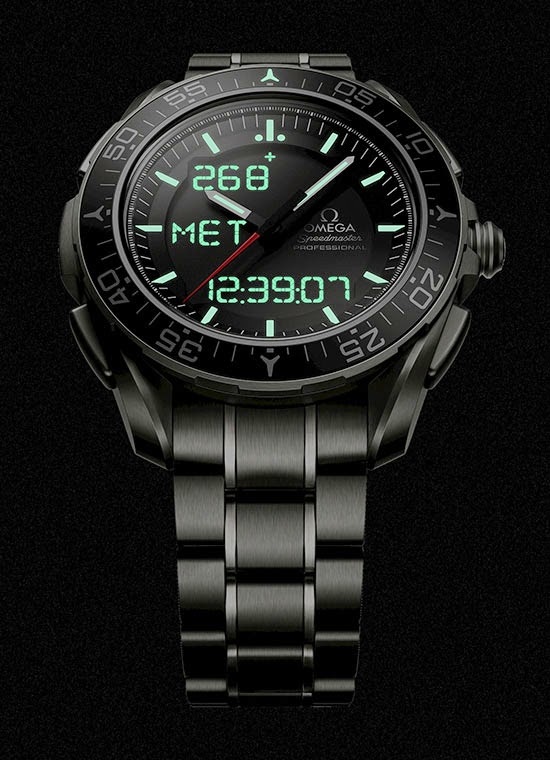 In addition to its analogue and digital displays, this timepiece is prepared for space exploration with two functions: mission elapsed time (MET) and phase elapsed time (PET). Crafted from grade 2 titanium, the 45 mm brushed case features a ceramic bezel ring with a chromium nitride scale coated with white Super-LumiNova. Complementing the case is the grade 2 titanium bracelet with grade 5 titanium links. 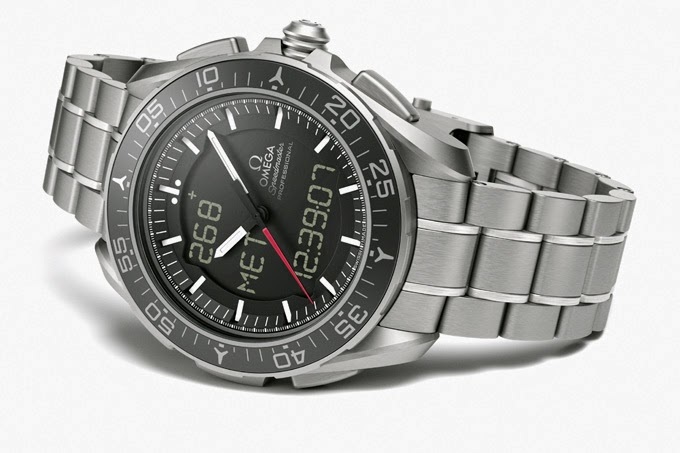 The new Speedmaster Skywalker X-33 model has been tested and certified by the European Space Agency (ESA) and was developed based on an ESA patent filed by astronaut Jean-François Clervoy.